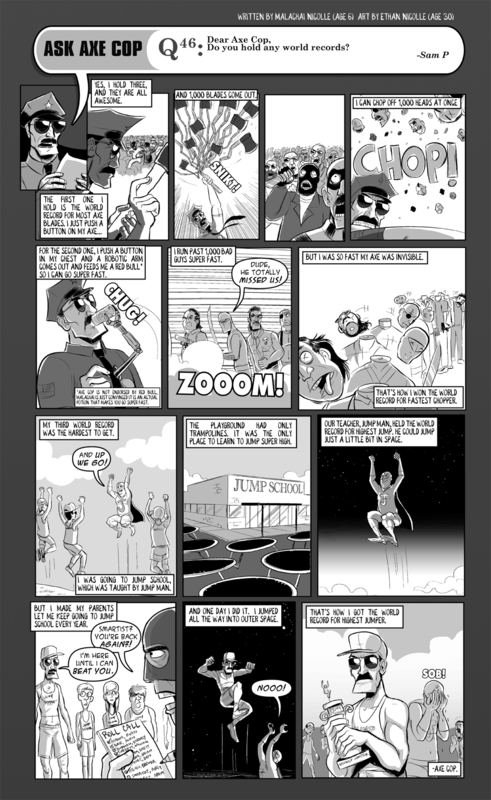 Does Axe Cop hold any world records? I notice a “William Corbett” on that attendance list – have you been watching Mystery Science Theater, Ethan? Well I am a huge MST3K fan, and good friends with Mike Nelson. Kevin Murphy and Mike have both moderated Axe Cop panels in the past, and Bill is set to moderate one in Maine coming up, so there is some mutual bromance going on between Axe Cop and MST3K. 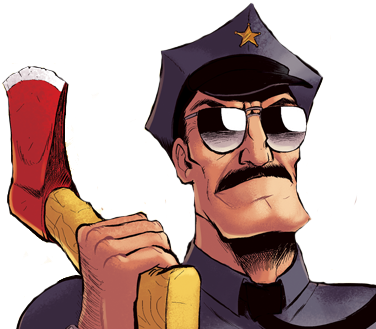 Why didn’t Axe Cop use the 1000 blades on his axe to kill the zombies?? ?